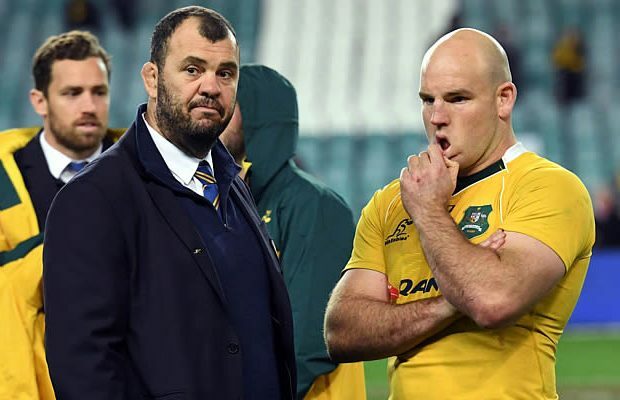 Wallabies coach Michael Cheika has cried foul after his team were beaten 3-0 in the series slamming the referees for faling to intervene when the ball hit an overhead camera wire. Cheika is not happy with the passage of play shortly after the second half kicked off when England kicked upfield and the ball hit the overhead camera wires. Australia were set to recieve the ball but it took a different path after the ball hit the wires and England were chasing the kick and regained the ball. Referee Nigel Owens used his own discretion – as he is entitled to do – said play on as he was of the opinion that both sides had been impacted by the incident. Both sides were expecting the ball to take a different path and were caught out but Cheika wholeheartedly disagreed with Owens’ judgement. Cheika was also not pleased with an incident that followed. Australian captain Stephen Moore overthrew the ball on a 5m defensive line out and the ball went almost straight to England flanker Chris Robshaw who went for the line but was held up. England were awarded a 5m scrum from which Billy Vunipola scored. However Cheika said that the linesman interfered with his captain at the line out. “Moorey was throwing a line-out ball and the linesman was pushing him in the back,” added Cheika. “He’s telling the referee he wants England to move out of the gap and he’s pushing Stephen in the back when he’s throwing the ball in, and he misses the throw. 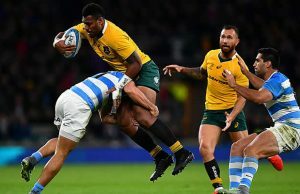 Cheika said that he had complained through the official channels about the refereeing through the series as Australia were heavily penalised in the first two tests. “I don’t think all the penalties have just been the result of our discipline and it’s no secret that I haven’t been happy with the refereeing,” he said. Cheika said that the Wallabies would have to look at their discipline in the review of the series but added that the main focus would be on other areas. “The major part will be to assess what we need to do to eliminate the small errors, the accuracy, the small errors that are shutting down the game we are trying to play,” he said. 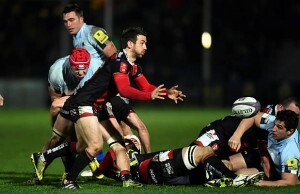 “Because we’re playing a lot of attacking rugby and we don’t want to stop doing that. There’s always a risk that if you are playing like that, if your team’s not accurate you get hit on the counter. Meanwhile England coach Eddie Jones says that it was a “fantastic” effort by his squad to earn the cleansweep. “But we’ve not only beaten Australia we’ve beaten them 3-0,” Jones told a news conference. “It was a fantastic effort from the squad to beat a very good and determined Australian side,” Jones said. “It was a fantastic series,” said Jones.